MSE Creative Consulting Blog: Amazing: Tornado Watch in Area Where Blizzard Warning is in Effect! 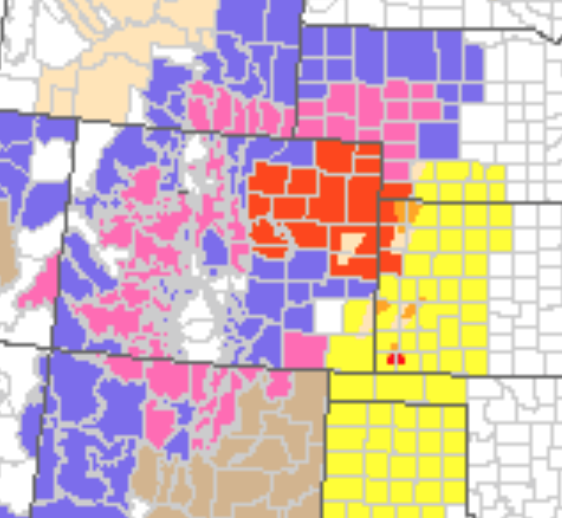 Amazing: Tornado Watch in Area Where Blizzard Warning is in Effect! A tornado watch is in effect for southwest Nebraska an northwest Kansas until 10pm CST. This area is under a blizzard warning (orange, below). Winds will gust to 65 mph in places tomorrow morning in the blizzard warning along with heavy snow. Many roads will be closed. Pink is a winter storm warning.